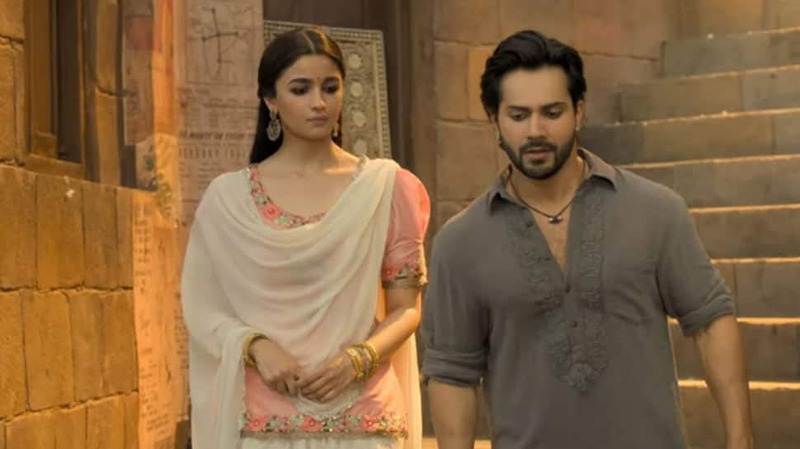 New Delhi: One of the most adored on-screen jodis in Bollywood, Varun Dhawan and Alia Bhatt will once again be seen sharing the screen space together in 'Kalank'. 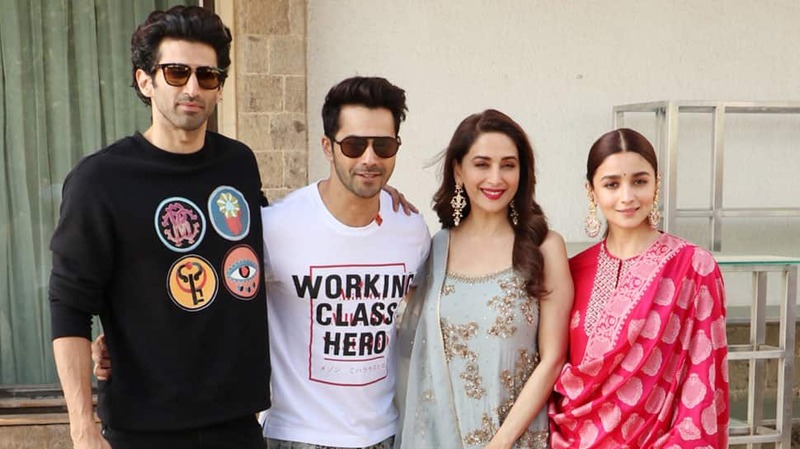 The movie is backed by Karan Johar's Dharma Productions and is slated to hit the screens on April 17, 2019. 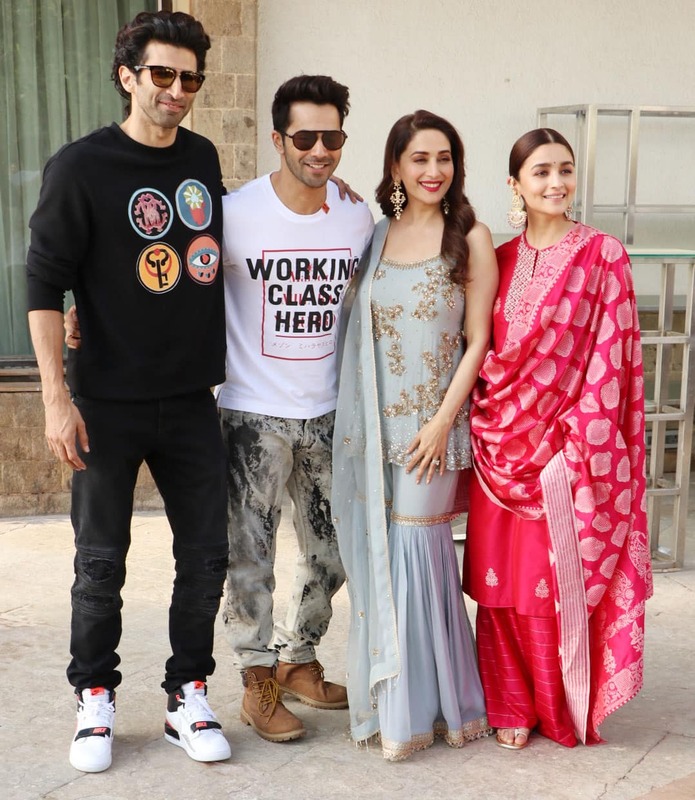 Madhuri, Varun, Alia and Aditya have kicked off the 'Kalank' promotions in full swing. The trio was seen at Mumbai's Sun N Sand hotel. The lead cast talked about their movie and posed for clicks. They all looked stunning in their fashionable attire. 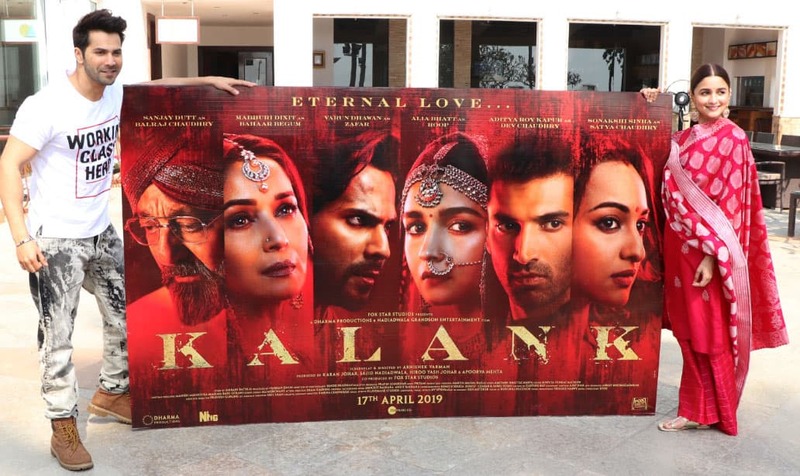 'Kalank' trailer was launched recently and has received a warm reception from the viewers. It looks intense and high on drama, emotions. The movie reportedly was originally conceptualised with a different star cast of Shah Rukh Khan, Kajol, Rani Mukerji and Ajay Devgn. Also, Karan Johar himself was supposed to helm it and his father late Yash Johar to produce it. But after Johar senior's demise, KJo dropped the idea and after all these years, the movie came back to life with a fresh star cast. Mumbai: Sonakshi Sinha on Thursday started the shooting for her upcoming film "Dabangg 3". The 31-year-old actor, who is reprising her role as Rajjo in the cop action film franchise, took to Twitter to share the news. "RAJJO is back! From Dabangg, to Dabangg 3... It's homecoming. Day 1 of shoot for me today, wish me luck @BeingSalmanKhan @arbaazSkhan @PDdancing," Sonakshi wrote alongside her photo from the film sets. Earlier this week, Salman Khan and his brother, actor-producer Arbaaz Khan, started the shooting for the third installment in the series. 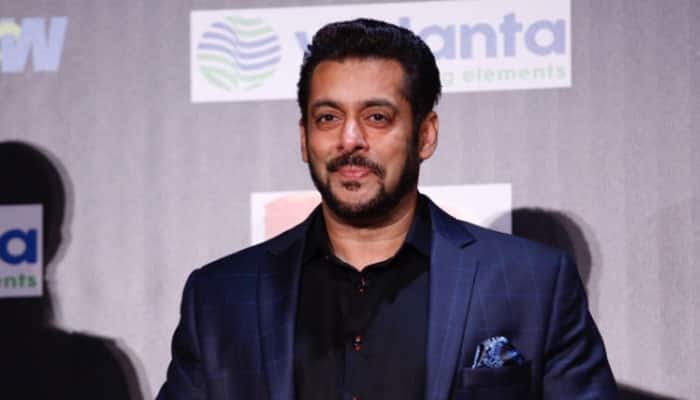 The film, to be directed by choreographer-filmmaker Prabhudheva, will have Salman, 53, reprising his role of Chulbul Pandey. The first part, which released in 2010, was directed by Abhinav Kashyap and actor-producer Arbaaz turned director with part two in 2012. Mumbai: Superstar Salman Khan on Monday started shooting for the third installment of "Dabangg" in Indore, Madhya Pradesh. It is reported that "Dabangg 3" will be helmed by choreographer and filmmaker Prabhu Dheva. The first installment of the movie series "Dabangg", which released in 2010, was directed by Anurag Kashyap while "Dabangg 2" was directed by Arbaaz Khan. "Dabangg" tells the story of Chulbul Pandey, a police officer who has his own way of dealing with corruption. New Delhi: Salman Khan and Prabhu Deva have joined forces after 10 long years and are set to work together on 'Dabangg 3'. The film also stars Sonakshi Sinha and has been high on the buzzword for a long time. 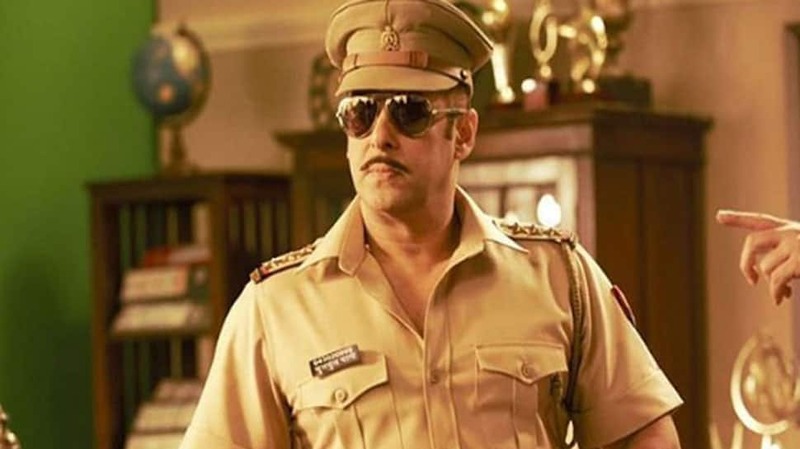 Fans have been eager to know when their favourite cop Chulbul Pandey will be back and looks like the waiting period has finally come to an end. As per noted film critic and trade analyst Taran Adarsh, the film will go on floors tomorrow, that is April 1 2019. 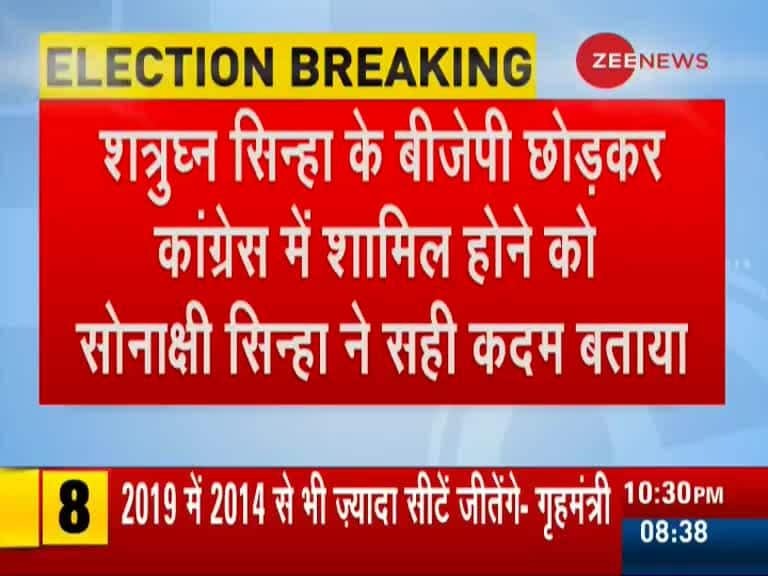 Adarsh took to Twitter to share the news. BIGGG NEWS... Salman Khan - director Prabhu Dheva reunite after #Wanted, after 10 years... The third instalment in #Dabangg film series is ready to take off... #Dabangg3 shoot begins tomorrow [1 April 2019]... Chulbul Pandey is back! The film is produced by Arbaaz Khan and is sequel to the 2012 super-hit film Dabangg 2. 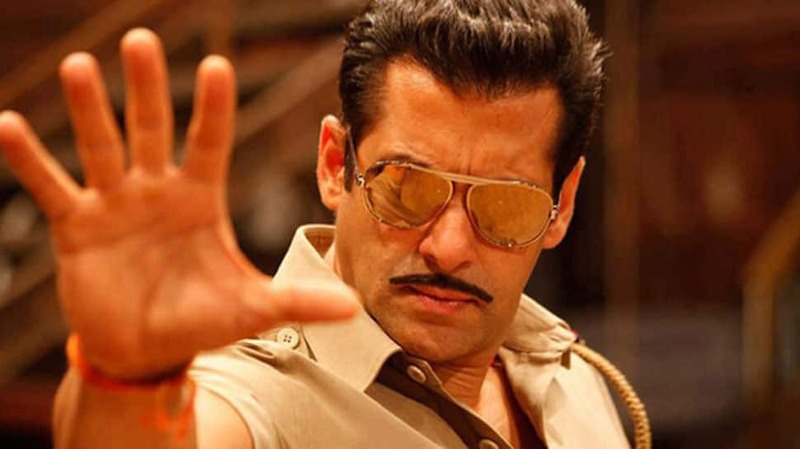 Both films of the 'Dabangg' franchise have been loved by the audiences and it will be interesting to see what the team has to offer in the third instalment. 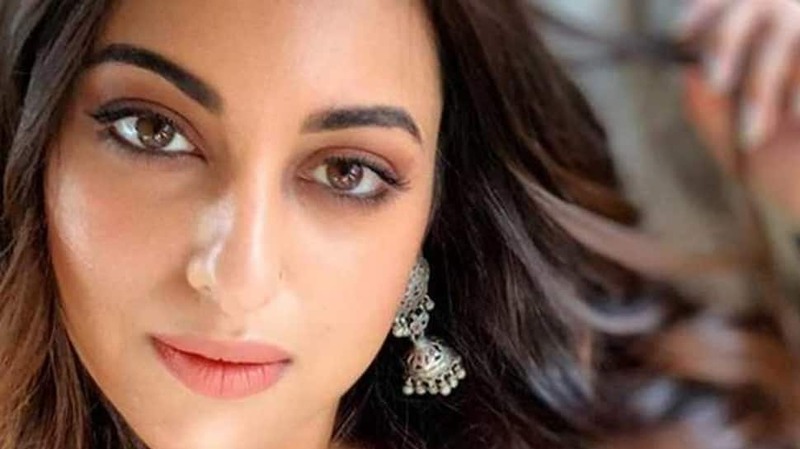 Coming out in support of her father's political decision, Bollywood actress Sonakshi Sinha said that former BJP leader Shatrughan should have left Bharatiya Janata Party long ago.Watch full video to know more.